Hello again, Are you looking for the best IPTV player for android? Do you need TV channels list to watch TV on your android device? 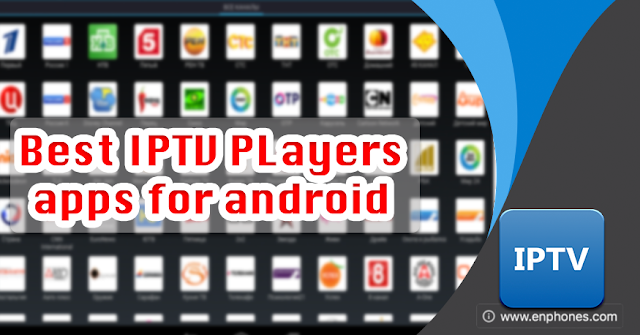 In this article we will Talk about the best IPTV Players Applications to open TV channels list On your phone, So you can open any type of file On your android Using those applications. Currently, more and more IPTV sources (Internet Protocol TV Providers) are emerging as many regions around the world are currently enjoying good stable and high speed, all you need is an IPTV Player to watch all your favorite channels on your smartphone, so, let start to talk about the perfect IPTV Player apk for android devices. Wiseplay is one from the best free IPTV Player for Android and iOS devices, is compatible with many video formats and playing lists, it's can help you to open the most IPTV links in a simple interface with very easy steps to play it and play local videos as well as videos hosted in remote servers. You have certainly heard about it before, this is the VLC Player, yeah! you can use it as an IPTV player on your android and any other OS (windows, iOS, MacOS...), this is one of the best media player, it can plays Live Streams, MPEG-1, MPEG-2, MPEG-4, DivX, mp3, ogg and more formats without codecs, and various streaming protocols. As VLC, Perfect player apk is one of the famous media players on android OS, is a very awesome app on Windows and Linux too, this app can play IPTV/Media files for watching videos on TVs, PC, TV Boxes, tablets and android smartphones, try it! I wish you find what you looking for in this small article, if you are using another IPTV Player to watch TV on your Android device, please, put it in comment bellow with it's features so we can add it to this list of the best IPTV Player apk for android, also if you think that one of those 5 apps it's not useful to open IPTV links and files, let us know to remove it.